1 of 10 Courtesy of Rifle Paper Co.
From heading out to work to getting in the car to drive the kiddos to school, activities, you name it, moms reach for their keys quite often. So there’s no better way to remind mom she’s a total shero than this spunky keychain. This backpack has all the right pockets: interior slot for a 13-inch laptop and room for more, exterior pocket for all the essentials. A black leather exterior means it goes with everything and can even transition from day to happy hour to dinner, when the occasion arises. Give mom a positive affirmation this Mother’s Day in the form of this chic leather iPhone case by luxe leather goods brand Clare V.
4 of 10 Courtesy of Rifle Paper Co. Whether mom used this darling clipboard at the office or to make checklists at home, the beautiful floral pattern adds some stylish swagger to even the most mundane tasks. Help make mom the trendiest one in the office with this sophisticated and simple semi vegetable-tanned leather laptop case. Make it even more special by adding a monogram. Give mom just what she needs to commute in style. These aHead wireless headphones, available at Anthropologie, are available in four fun colors and are Bluetooth compatible. Exclusive to Food52, these nesting bowls will make leftovers for lunch more enjoyable during a working mom’s busiest days. Available in six gorgeous pastel hues, the set includes the perfect range of bowl sizes. Whether she’s on a plane or at her desk, this ultra-cozy cashmere travel wrap from White + Warren will keep mom warm no matter the season or where she’s working. Between appointments, school meetings, playdates, and date night, it’s a mystery how mom’s able to stay on top of things! 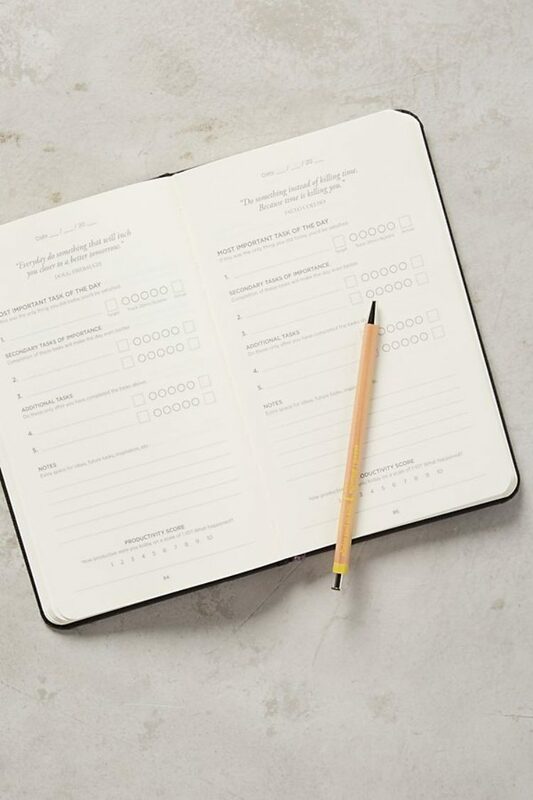 Make it easier for her this Mother’s Day with this great productivity journal from Anthropologie. This timeless and chic tote is just what mom needs to carry all her necessities in style. Made in Florence, Italy, it’s just as fitting for the work week as it is for an activity-filled weekend.